On this day do not rush to pelt the three Jamaraat immediately after Zawwaal as there will be a large crowd. However, if one of the days of pelting happens to fall on a Friday the best time to pelt is after Zuhr as many Hujjaajj tend to go to Makkah for Zuhr Salaat. 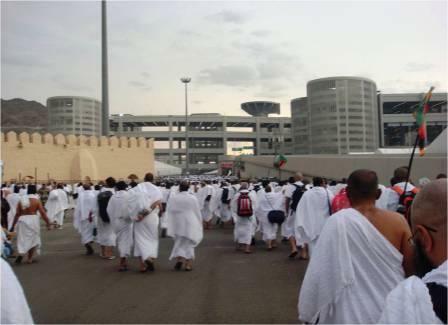 The busiest time on such a day is before and after Asr as the Hujjaajj are now returning from Makkah. The best time on this day, (if it is not a Friday), appears to be just before and after Asr. Take at least 30 pebbles each. 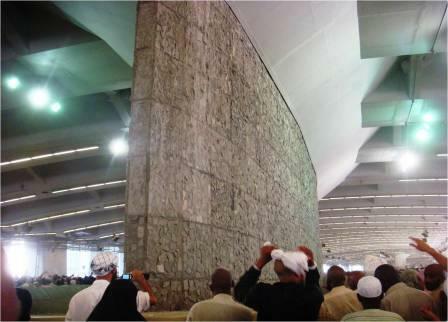 Keep about ten tightly clenched in you left palm as described for the 10th of Zil Hajj. (The rest of the pebbles will be in your pocket/purse/bottle). Group under the billboard at the smallest Jamaraat and do exactly as was done on the 10th of Zil Hajj. On regrouping under the billboard, make Duaa and then remove more pebbles from your pocket/purse to make a total of ten, again clenched tightly in your left palm. Now proceed to the 2nd Jamaraat, group under the corresponding billboard and do exactly as on the 10th of Zil Hajj, (and as above). On regrouping under the billboard at the 2nd Jamaraat, make Duaa, remove more pebbles to make a total of ten again, keep your left palm tightly clenched and proceed to the 3rd Jamaraat. Do exactly as above at the 3rd Jamaraat, but on regrouping, there is no Duaa. Instead, proceed towards your tents. From experience, it is now seen that a good time to do Tawaaf-e-Ziyyaarat is on the 11th of Zil Hajj between 22:00hrs and 02:00hrs. On this day most Hujjaajj proceed to Azizya immediately after pelting is over. Hence on this day you will carry all your belongings with you in your shoulder-strapped satchel. Leave all your belongings in your tent and then return to collect them after the pelting. (However, the distance from your tent to the Jamaraat may not permit this). Alternatively, you could request your colleagues who are not doing Pedal Hajj to bring your bag with them in their bus. It may be better to hire nearby lockers at a fee. If you are planning to do the Tawaaf-e-Ziyyaarat on the 12th of Zil Hajj then expect the Haram to be to the brim from the afternoon till the next morning as there will be many local residents who will be performing their Tawaaful Wida at these times on the 12th and 13th of Zil Hajj. The best time for pelting on this day seems to be after Asr from experience of others. 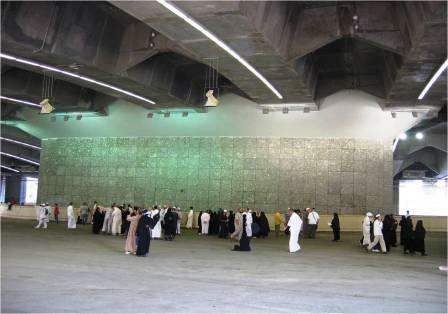 Mina boundary ends within 100 metres of the big Jamaraat and hence one can be out of Mina well before sunset if one does not have the intention of staying over for the 13th of Zil Hajj. Before proceeding to the Jamaraat, pack all your belongings. The rest will be more or less as for "Pedal" Hujjaajj. It may be quicker to book a cab for your return to Makkah in order to ensure departing before Maghrib as your bus may not be on time for you to depart before sunset. On the other hand, vehicular transport on this day can be very chaotic; hence it would be wiser to walk. 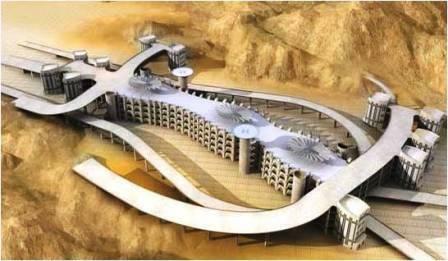 Very few people stay over in Mina on the 13th of Zil Hajj. If you do, ensure that you have sufficient stocks of foodstuff, water, drinks etc., as most vendors have left for Makkah by the 12th of Zil Hajj. 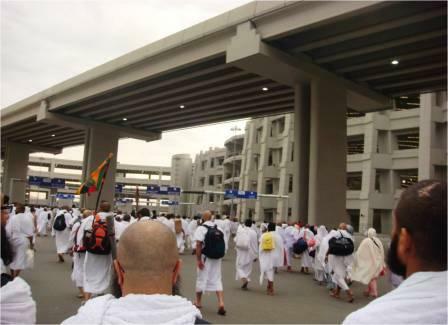 You may not have access to your bus, which was allocated to you from Makkah for the 6 days of Hajj, as these buses will have taken most of the Hujjaajj back to Makkah on the 12th of Zil Hajj. 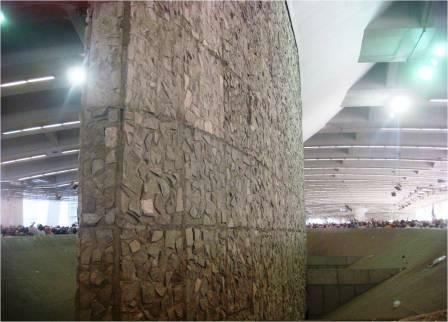 Therefore you may have to rely on private transport, at a nominal fee, for your return to Makkah.